Academic Staff Cao, Jay J.
Prof. Jie (Jay) Cao is an Associate Professor in Department of Finance, The Chinese University of Hong Kong (CUHK) Business School. He received his PhD in Finance from University of Texas at Austin in 2009 and BA in Economics from Peking University in 2002. His research areas are empirical asset pricing, derivatives, and behavioural finance. His research specifically focuses on the return predictability and quantitative trading strategies using stocks and stock options. His papers are published or forthcoming in Journal of Financial Economics, Journal of Financial and Quantitative Analysis, and Management Science. His works has been presented in major finance conferences such as American Finance Association annual meeting, European Finance Association annual meeting, and The Financial Intermediation Research Society Conference, and conferences held by institutions such as Federal Deposit Insurance Corporation (FDIC), Deutsche Bank, and Macquarie Group. He has also been invited by industry professionals for presentation such as Morgan Stanley, Two Sigma, Cubist Systematic Strategies, and Yinghua Fund Management. His papers have received several awards such as the Chicago Quantitative Alliance Academic Competition Research Paper Award. 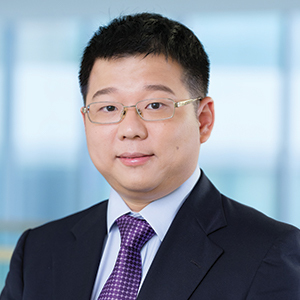 He is the Principal Investigator of several Hong Kong competitive RGC grants and many other research grants from both academic and industry sponsors such as Montreal Institute of Structured Finance and Derivatives. He teaches undergraduate Investments and PhD Empirical Asset Pricing, and has received Faculty Outstanding Teaching Award. He has also provided consulting services for several fintech startups and hedge funds. Jie Cao, Hao Liang, and Xintong Zhan (2018), “Peer Effects of Corporate Social Responsibility,” Management Science, Forthcoming. Jie Cao, Bing Han, and Qinghai Wang (2017), “Institutional Investment Constraints and Stock Prices,” Journal of Financial and Quantitative Analysis, 52(2), 465-489. Jie Cao and Bing Han (2016), “Idiosyncratic Risk, Costly Arbitrage, and the Cross-Section of Stock Returns,” Journal of Banking and Finance, 73, 1-15. Jie Cao, Tarun Chordia and Chen Lin (2016), “Alliances and Return Predictability,” Journal of Financial and Quantitative Analysis, 51(5), 1689-1717. Jie Cao and Bing Han (2013), “Cross-Section of Option Returns and Idiosyncratic Stock Volatility,” Journal of Financial Economics, 108(1), 231-249. Jie Cao, Yong Jin, Wei Zheng, and Xiaolong Zhong (2017), “On the Empirical Likelihood Option Pricing,” Journal of Risk, 19(5), 41-53. Jie Cao, Rao Fu, and Yong Jin (2017), “International Diversification through iShares and Their Rivals,” Journal of Risk, 19 (3), 25-55.